When the new flagship Oxford street store opened I was most excited about trying out the newly designed bath oils. Being completely different in size, price and look to the much loved bath melts I couldn’t wait to see how they differed. Being a huge Harry Potter fan, I just couldn’t wait to get my hands on this amazing little cloak of invisibility bath oil. 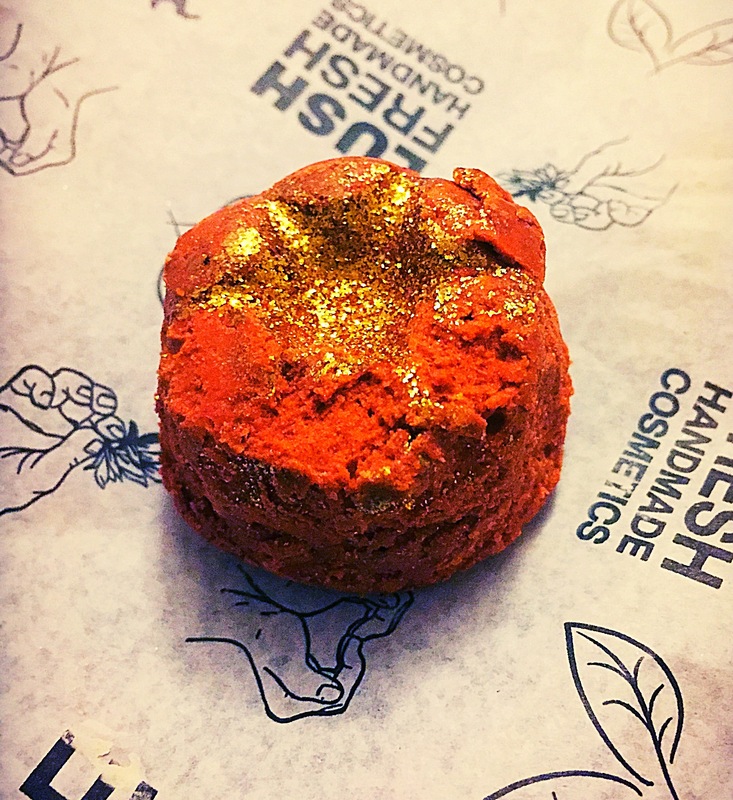 I just loved that is name was Harry Potter related (not sure if this was actually intended by lush) and also that this little bath oil was covered in a good helping of glitter. This is also a great product for winter for when you just want to hide away from the cold winters weather. Although this bath oil is pretty tiny it has a huge impact in the bath, i personally am happy to just use one at a time. 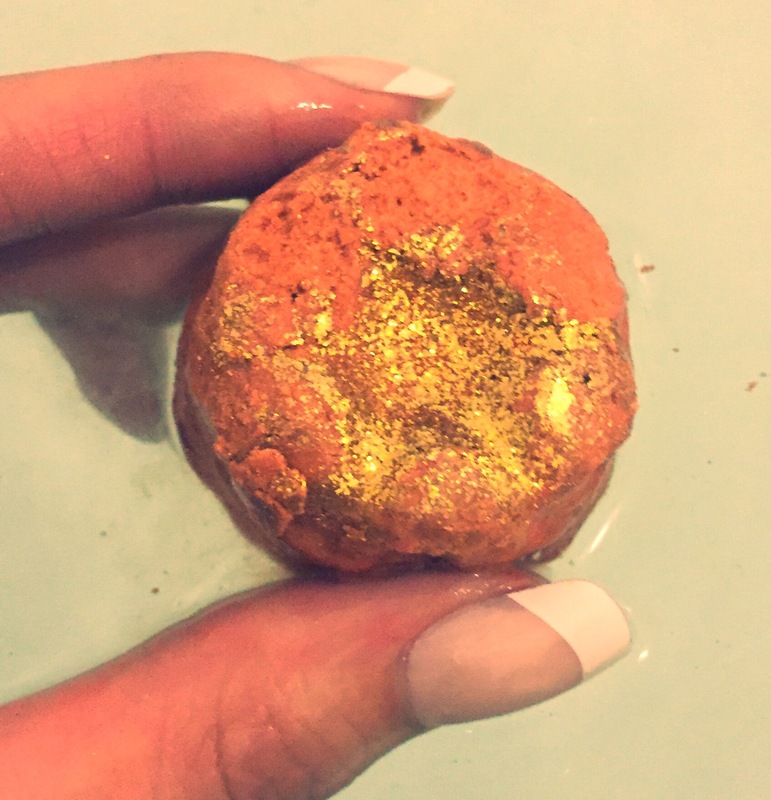 But it would also make a fantastic bath to pair these up with a bath bomb or bubble bar to Create a colourful and moisturising bath time. I really like that this bath oil is a little bit of a different shape to the normal round versions. 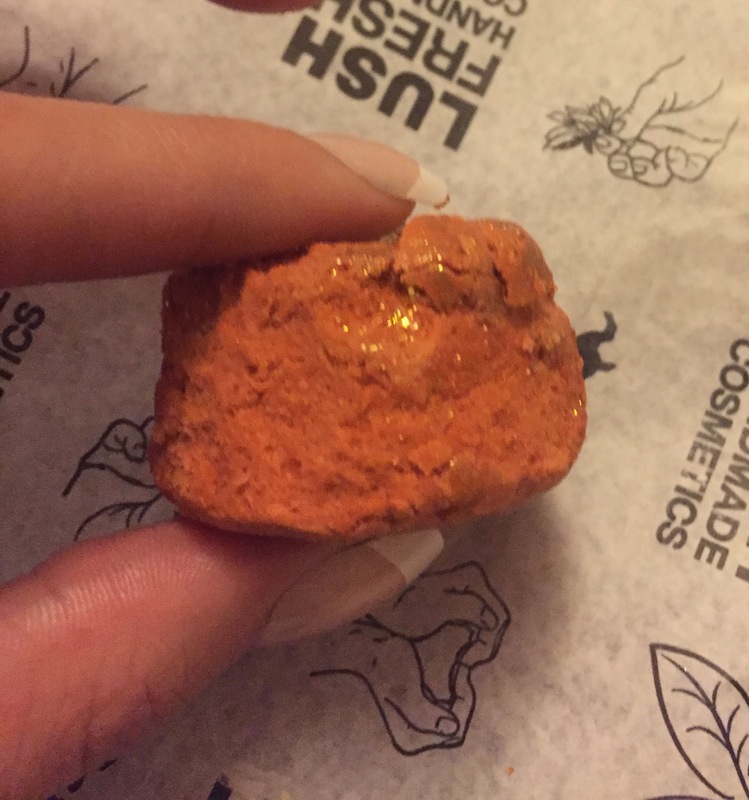 It almost looks like a little orange flower covered with plenty of glitter. The cloak of invisibility bath oil smells very similar to the lust perfume. The scent is quite a warm woody scent. jasmine is the most noticeably ingredient in the bath oil but you can also pick up on Rosewood which give a very pleasant sweet element. The bath oil is packed with essential butters and oils, so once popped in the water it slowly starts melt releasing its gently aroma and layering the water with its mouisring oils and butters. 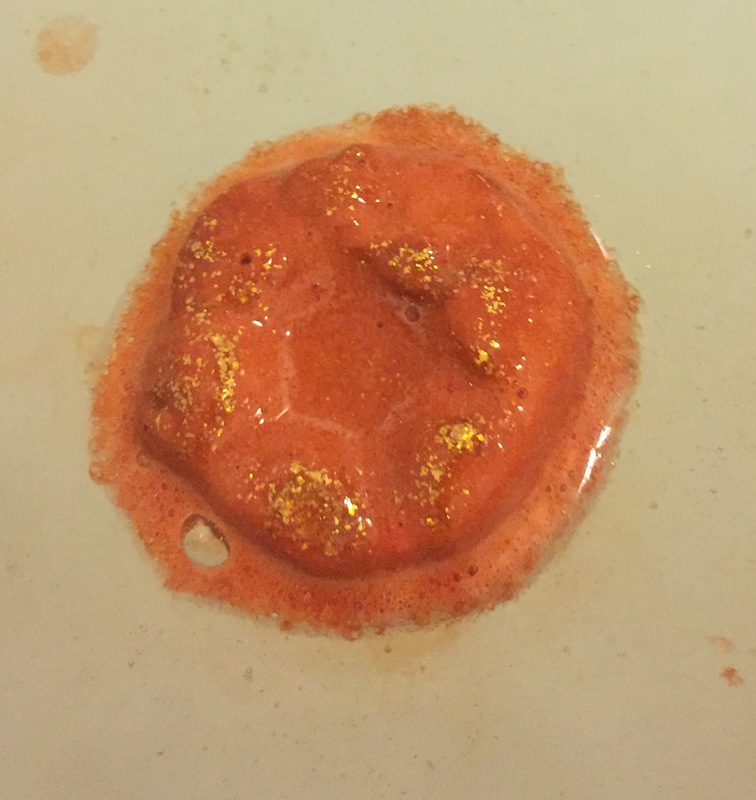 I found that this bath oil melted rather quickly but I do think it depends on how hot your bath water is. Currently the cloak of invisibility bath oil is an Oxford street exclusive but a few of the other bath oils have now been released into general sale l, so I really recommend trying out the new look bath oils. Overall I am a huge fan of the new Bath oils, as I love how moisturising and relaxing they are. They leave you skin feeling super smooth and soft. I also love the scent of the particularly scent and will be picking up a few more next time I’m at the Oxford street store. Ingredients – Sodium Bicarbonate, Fair Trade Organic Cocoa Butter (Theobroma cacao), Fair Trade Shea Butter (Butyrospermum parkii), PEG–6 Caprylic / Capric Glycerides & PEG-60 Almond Glycerides, Laureth 4, Citric Acid, Perfume, Extra Virgin Coconut Oil (Cocos nucifera), Almond Oil (Prunus dulcis), Jasmine Absolute (Jasminum grandiflorum), Rosewood Oil (Aniba rosaeodora), Ylang Ylang Oil (Cananga odorata), Benzyl Benzoate, Cinnamyl Alcohol, Linalool, Gold Glimmer Lustre (Synthetic Fluorphogopite, Iron Oxides, Silica), Radiant Gold Lustre (Potassium Aluminum Silicate, Titanium Dioxide, Colour 77491), Colour 15510, Colour 14700.
this looks amazing! must try!